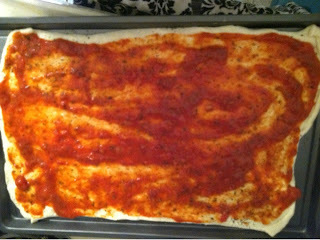 First stretch out your pizza dough and cover lightly with spaghetti sauce. Add a light coat of Mozzarella and Pepperoni and Ham. 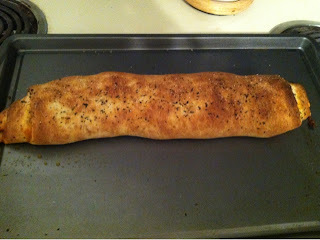 season with garlic salt and Italian seasonings. 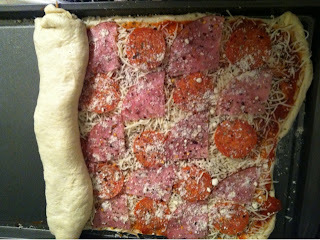 Slowly roll up your pizza. 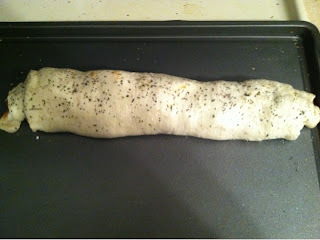 Mist the pizza with olive oil and added our seasonings. This recipe looks delicious and reminds me of when I was a wee girl and helped my Mum make pizza pockets for my siblings and I to munch on. Thank you for sharing the recipe and I hope you have a wonderful week! These look really good and very easy! My son loves pizza and would love these! I'm making my dinner plans this weekend and will be adding these to the list! This looks yummy and I love how simple it is! My family loves pizza, so this would be a definite hit in our house. What a great idea for making pizza another type of meal. It looks so easy to do. Great ideas here.... I am always on a low-carb diet so this is a strict NO NO but I love to eat vicariously. YUM. 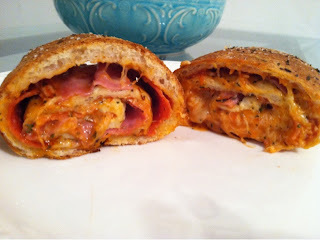 Oh I've never come across pizza pinwheels before! What a great spin on plain regular pizza. im sure this is very yummyy pizza! it looks unique and tasty! I am loving the look of these! I think my teenage son would go crazy if I made them for him - he'd LOVE it! 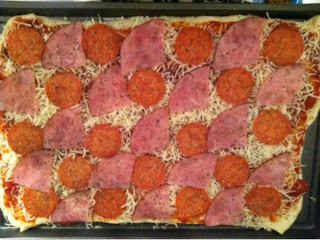 The kids and I enjoy pizza very much and it would be nice to make this at home. Love the idea! Thanks for the recipe. This is a great idea!!! Looks easy enough for my teens to make and enjoy. Thank you for sharing it with us. Omg can we say yum?!!! These pinwheels look absolutely delicious! Must try! What a great idea! 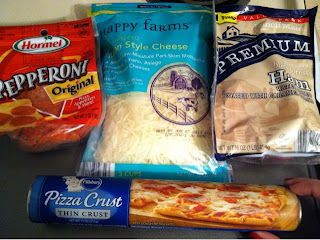 I have tried making mini pizza roll ups with the crescent rolls, but never thought of pizza pinwheels with the crust! ha Thanks for sharing! We love pizza here at home in whatever shape and size. I bet my daughter will love this and it's easy to do too. This looks so interesting and creative, never thought of preparing a pizza this way! Must be delicious! Your pizza pin wheel looks so good. Rolling up the pizza dough is such a great idea and I can't believe I never thought of it before. My kids would love it. Putting the ingredients on my shopping list right now so we can try it this week. Thank you for sharing! The Raw Food Diet ==== What Is It??? What Happened to The Woolworth Stores? ?